Saw this on Monday's newspaper in the "weird thing can happen" section. 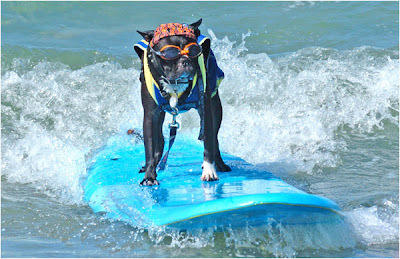 I found it so cute, these dogs can really surf! It is a competition in San Diego, where they had categories for small dog, big dog and dog and human for this exciting event. I wish I was there to witness this!